It has long been believed that the magnetic moments of fine superparamagnetic Mn3O4 nanoparticles block just a few degrees below this material’s Néel temperature. Researchers from the University of Texas at El Paso disagree. Using ac magnetic susceptibility methods, the team has recorded data that unambiguously demonstrate the non-dynamic character of the magnetic behaviour in this temperature range. The group also found evidence that superparamagnetic blocking occurs at much lower temperatures. If confirmed, these findings question a number of notable results previously obtained on this model system. While Mn3O4 becomes ferrimagnetic when cooled below its Néel temperature (TN ( 41K), the superspins of small Mn3O4 particles (average size below 20 nm) can still rapidly reorient along an easy axis via thermal activation. It has been believed, however, that this superparamagnetic dynamic is suppressed (that is, the superspin rotation is blocked) upon further cooling just a few degrees below TN. As nanosized Mn3O4 is a model system for the study of magnetic nanoparticle ensembles, several important results have been based on the above-described blocking behaviour. For example, it was observed that dc magnetization vs temperature curves collected using typical ZFC (zero-field-cooled) – FC (field-cooled) protocols bifurcate at essentially the same temperature regardless of the nanoparticle average size (<D>). 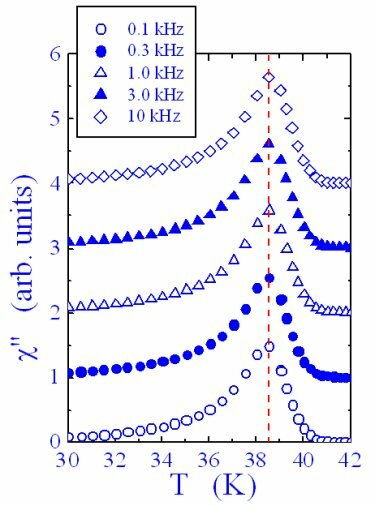 This was used to conclude that the magnetic anisotropy changes dramatically with <D> and, consequently, can be tailored by adjusting the nanoparticles’ dimensions – a remarkable result based on the assumption that the ZFC-FC bifurcation temperature is, indeed, the blocking temperature of the ensemble. nanoparticle ensembles over the past two decades. The UT El Paso team also presents evidence that the superspin blocking does occur, but at much lower temperatures. Additional information can be found in the journal Nanotechnology. Cristian Botez is an associate professor of physics at the University of Texas at El Paso. He joined the institution in 2005 after a three-year postdoctoral stage at Brookhaven National Laboratory. His main research interests are the dynamic behaviour of magnetic nanosystems, and the microstructure and conduction mechanisms in superprotonic materials. Dr Ronald Tackett has been a postdoctoral researcher in Prof. Botez’s group. Recently he accepted a tenure-track faculty position in Arkansas. Lawrence Murr is professor and chair of the Metallurgical and Materials Engineering Department at the University of Texas at El Paso, and Brenda Machado and Sara Gaytan are Prof. Murr’s doctoral students.